This story originally appeared in the 2017 edition of Impact magazine. Read the full publication here. 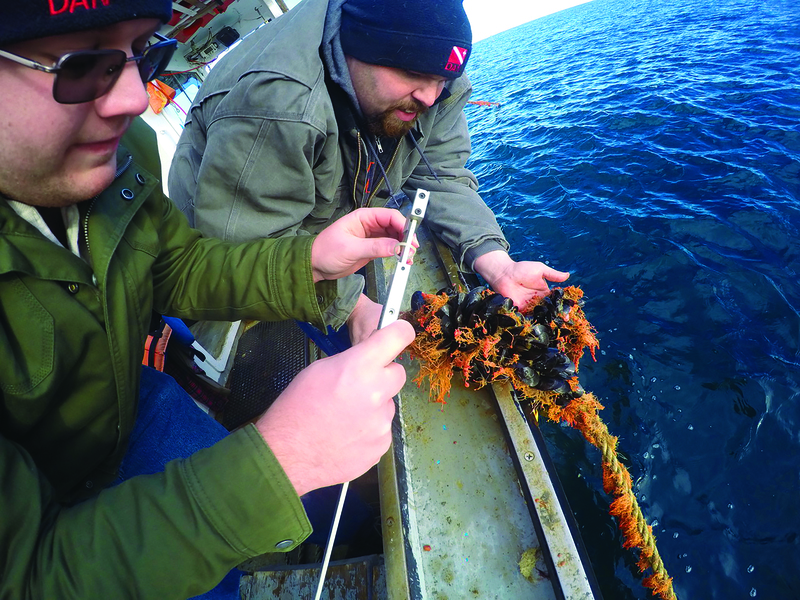 A study formulated by Salem State biology professors Mark Fregeau and Ted Maney Jr. uses 33 acres in federal waters off the Rockport coast to address a situation that shellfish suppliers and restauranteurs in the Northeast have been talking about for a while now. There is a strong demand for locally grown mussels that are better in quality and garner higher prices than imported mussels. The demand for a locally grown sustainable shellfish supply has resonated with local restaurants. Legal Sea Foods owner Roger Berkowitz, a 2007 Salem State honorary degree recipient, is convinced of the benefits, and his restaurant has pledged $100,000 to the project. Fregeau says the Legal Sea Foods funding is covering the monitoring exercises of the “Ocean Reporter,” an important initial step. In addition to churning profits for the seafood industry, the Salem State project, which has the approval of the U.S. Army Corps of Engineers, would also offer educational opportunities. The mussel site would serve as a field demonstration and open classroom for recruiting and training fishers. Fishers will also receive business support with the refinement of a business plan through Salem State’s Bertolon School of Business. The U.S. Department of Commerce and NOAA (National Oceanic and Atmospheric Administration) have set priorities to develop and expand aquaculture in the U.S. into federal waters. Salem State is on the cutting edge of this.